Highland Middle School in Georgia participated in an iSTEM day using Cogent Education’s Interactive Cases, which shifted students attitudes toward science by showing them that science is a field they should consider. 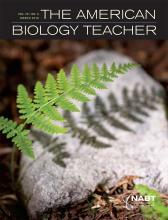 March 2016 issue of The American Biology Teacher, Vol. 78, No 3, pages. 200–207, ISSN 0002-7685, electronic ISSN 1938-4211. © 2016 National Association of Biology Teachers. read more..
Cogent Education, Inner Voice & LightUp Announced as Winners of FETC 2016 Goldfish Tank Innovators Competition! This competition asks the educators in the audience to vote for the product that they would most likely use in the classroom. “Cogent Education, Inner Voice and LightUp have the potential to give students new, rich learning experiences.” said Karen Billings, vice president and managing director for ETIN. read more..
"The Georgia Innovation Award honors the department, institution, company or individuals who are forging new ground by thinking outside traditional paradigms to create some unique technology." 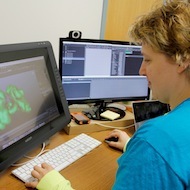 read more..
UGA news site, UGA Today, features Cogent Education in an article discussing our software and place in the community! read more.. 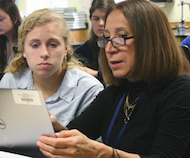 The UGA Student Newspaper, The Red & Black, featured an article about Clark's ability to teach biology students about osmosis via the Osmosis case study. read more.. 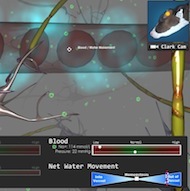 The UGA College of Veterinary Medicine discusses Cogent Education's use of real-world problems to engage students and teach them the scientific method as they play the role of a scientist. 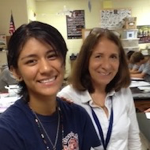 read more..
Cedar Shoals High School names Biology Teacher, Stella Guerrero, Teacher of the Month, recognizing her outstanding work incorporating Cogent Education technologies into her classroom! read more..